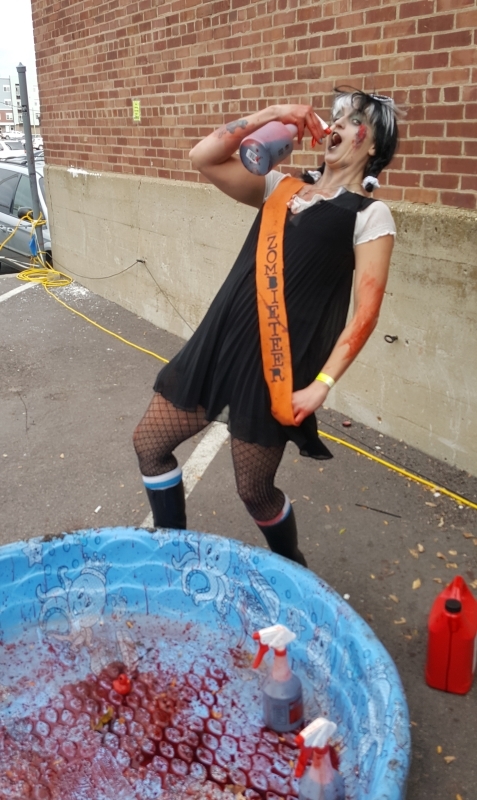 it takes to pull off an amazing event such as Zombie Walk? Every year we enlist the help of over 100 Zombieteers to help us raise the dead for charity. 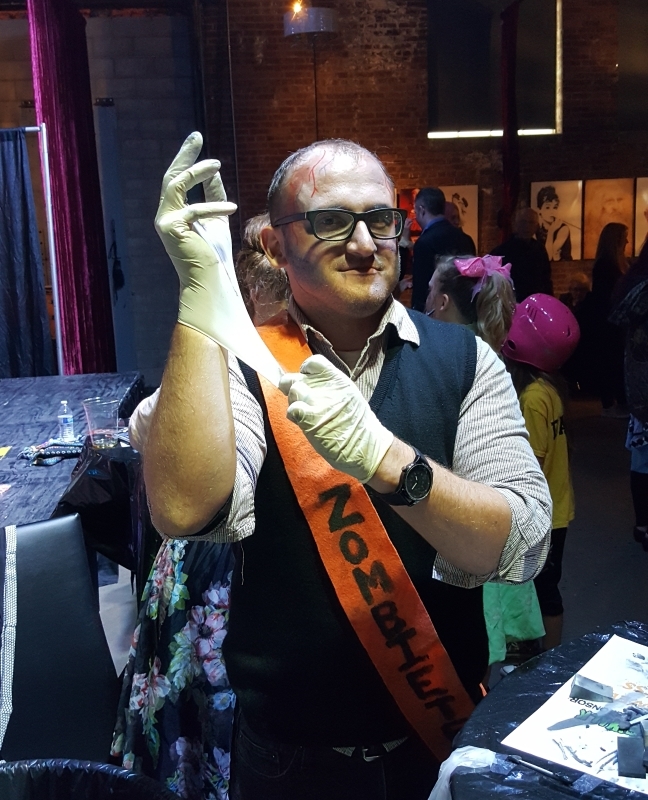 These awesome zombies not only refrain from munching on all the delicious brains attending the event, but they also help us with Zombie Horde registration, makeup, merchandise sales, handling barricades, and wrangling those pesky normies from jumping into the dangerous Zombie Horde. 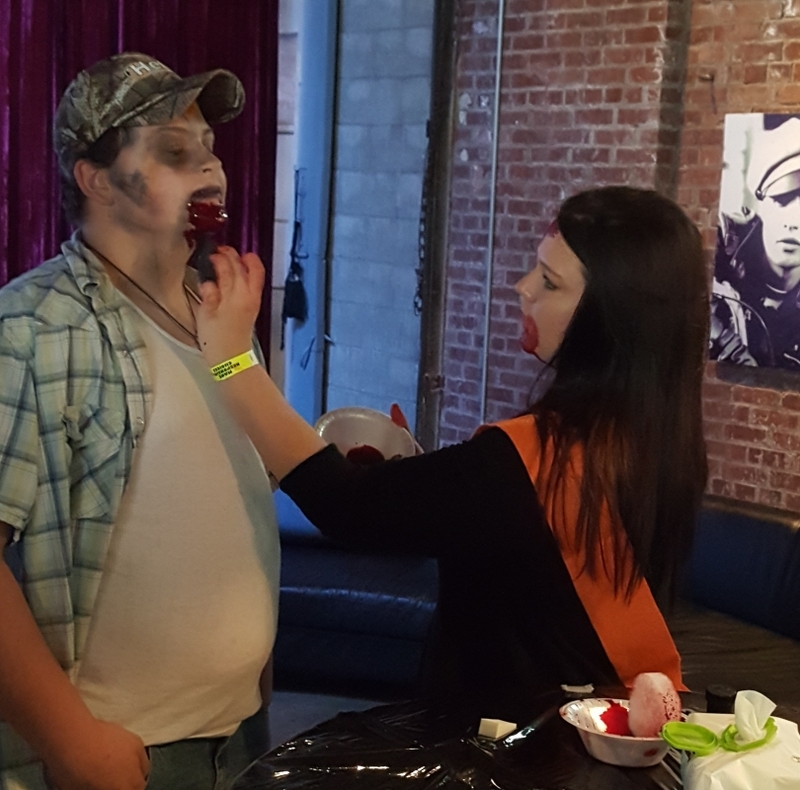 All Zombieteers receive free parade admission and makeup! We will also have a thank you party in November to show our appreciation for all your help!! Sign up today and join the fun! Click the button to sign up or email us if you have any questions!! indicate your interest on the volunteer signup form or email us!! All Zombieteers must be 18 and sign the Sioux Falls Roller Dollz Code of Conduct.